Alliance cards are used for Secret Alliances. 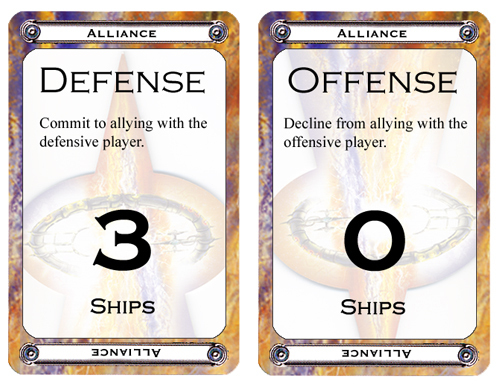 Each player has a set of Alliance cards, five for Offense and five for Defense (with values from 0-4 ships for each). After invitations, players must choose which card to play face down, indicating their commitment. Players may only commit to a side to which they have been invited. Once all players have played their cards, they are revealed. Players then place their ships into the encounter on the appropriate side, in the amounts indicated by the cards they have played. Below are some variations on play with Alliance cards. Only one deck of Alliance cards is used (one set of Offense cards, 0-4, and one set of Defense cards, 0-4). After the main players make invitations, the deck is handed to the first invited player to the left of the offense. That player must choose one of the cards and play it face down. 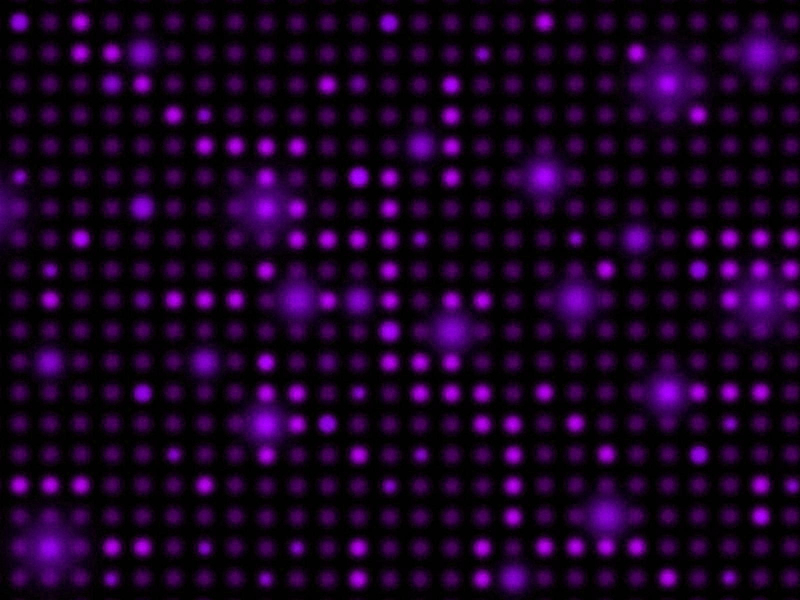 The remaining cards are then passed clockwise to the next player that was invited. This player must choose from the cards remaining and must play one card. The deck is passed until all invited players have chosen a card to play. After invitaions, deal out one card for each invited player from a single deck of Alliance cards (as above). Players now have a much more limited selection of cards from which to choose. Alliance cards are not revealed until encounter cards are revealed. When both main players reveal the encounter cards they have played, the alliance cards are turned over to reveal commitments.